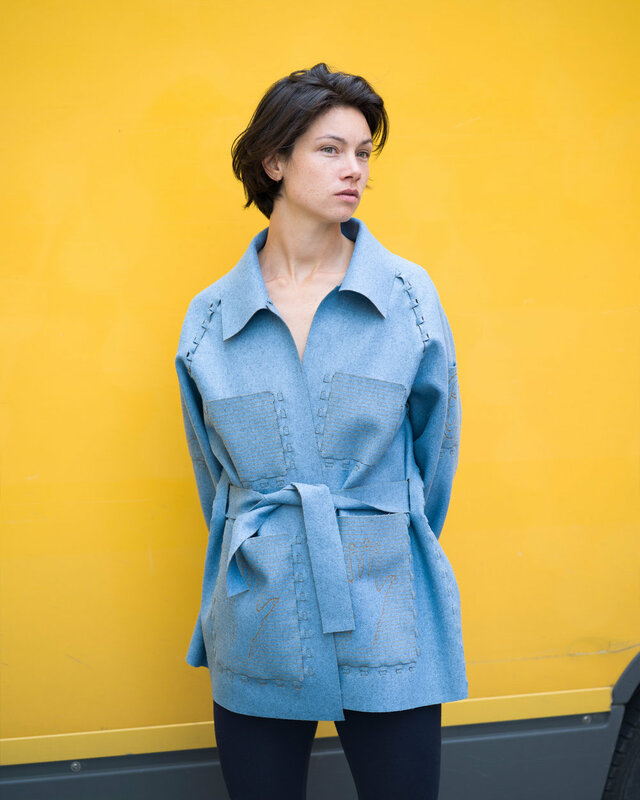 For this garment you need about 2,5 m / 8,2 ft of fabric, if it's 1,4 m / 4,6 ft wide. In the Assembly Instruction you'll see exactly what sizes fabric you need to cut that fit all the patterns pieces. 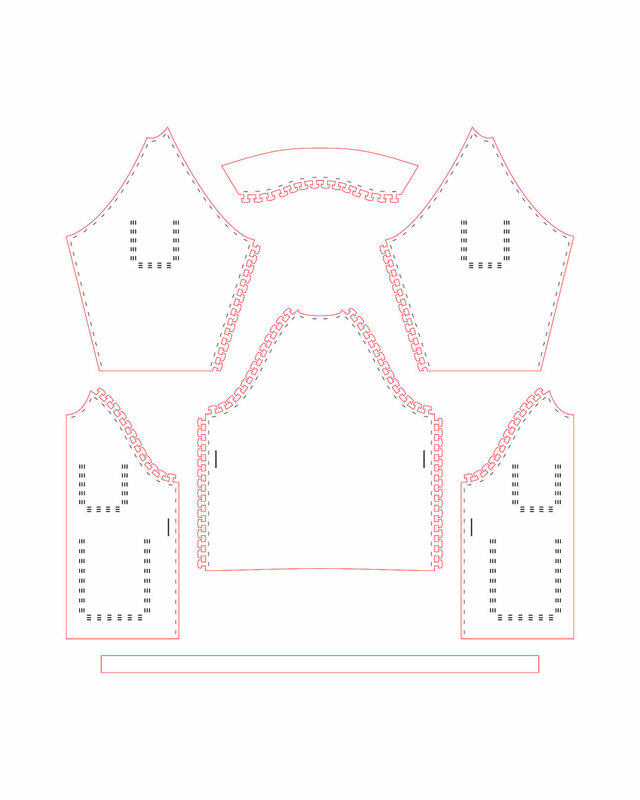 This download contains the digital design / lasercutting file for this garment in sizes: XS - S - M - L, a measurement table to help you pick the right size, assembly instructions and tips & tricks for lasercutting. For this design you need a lasercutter that has a cutting surface of at least 900 x 1300 mm / 35,5" x 51,2".